Dubai, UAE – 24 December 2018: Imdaad, a Dubai-based group of companies that provides integrated, sustainable facilities management services that enhance operational efficiencies of physical assets, has recently been awarded a five-star ranking at the third edition of Taqdeer Award in Dubai in recognition of the company’s initiatives aimed at providing the best working conditions for its labor staff. Established by the Government of Dubai under the patronage of H.H. 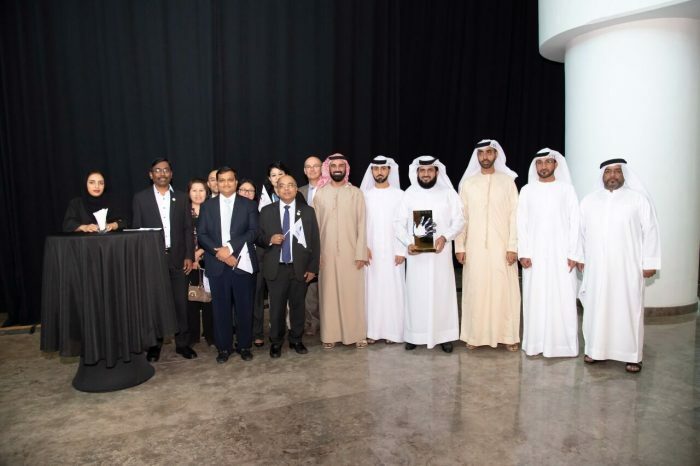 Sheikh Hamdan Bin Mohammad Bin Rashid Al Maktoum, the Taqdeer Award recognizes companies that adopt best practices in employee welfare, ensuring a balanced and mutually beneficial relationship between employer and employee. Sheikh Mansour bin Mohammed bin Rashid Al Maktoum presented Imdaad a plaque at the Taqdeer Award ceremony, where they were one of few companies that received the highest category of the award, from over 400 companies that applied, establishing Imdaad as among the leading organizations in the UAE that excel in labor welfare and labor best practices. The five-star rating follows a rigorous assessment of Imdaad’s employee welfare practices including its overall treatment of workers, the infrastructure of accommodation provided, work environment, wages, as well as health and safety and open-door policies. Imdaad’s wide range of employee welfare initiatives includes a state-of-the-art ‘Manzeli’ staff accommodation, which offers all the facilities and comforts essential for a quality living environment. The company also pays close attention to health and safety of its employees by providing them with insurance coverage and organizing health check-ups and training sessions, in addition to conducting inspections, audits, and safety leadership tours to implement its policies effectively. Furthermore, Imdaad has adopted processes, including confidential access to the Group CEO through Imdaadi policy, to handle employee grievance redressal promptly and fairly. As part of its efforts focused on promoting personal and professional development of employees, Imdaad has introduced a robust employee engagement strategy. The company provides career growth opportunities through its ‘Want-A-Change’ program, in addition to rewarding and motivating employees through ‘Employee of the Month’ and ‘Safety Man of the Month’ initiatives. Also, Imdaad has launched Tatwir, a uniquely designed initiative that aims to identify, develop and retain high potential talent within the organization to drive forward its vision and strategies.